T. Richard Hagin, 76, of Ocala, Florida, passed away at his home on Thursday, April 26, 2018, after a brief illness. Richard was born in Thomasville, Georgia to Wesley Richard and Elizabeth (Skinner) Hagin, both of whom predeceased him. He was a graduate of Florida State University, Tallahassee, Florida, Stetson University Law School, St. Petersburg, Florida. He practiced General law in Sumter and Marion County, Florida from 1964 to the present, so he had to cover 6 different counties with his practice. 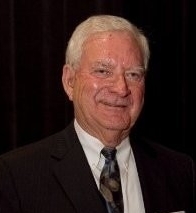 He handled over 5000 divorces, hundreds of jury trials (civil & criminal), handled numerous Death Penalty cases (Court-Appointed), served as County Attorney 1969-76, Sumter County Prosecuting Attorney 1969-73, City Attorney - City of Webster, FL 1966-87, General Counsel Florida National Bank of Sumter County, 1970-89, Attorney, Sumter County Planning & Zoning Commission, City Attorney, City of Coleman, 1969-74, City Councilman - City of Bushnell, FL 1967-69. Beginning in 1980 he only handled Personal Injury, Wrongful Death, Nursing Home Abuse, & Worker's Compensation cases. He is survived by his wife, Debby Hagin, his children: John, Grace. Jennifer and Lori, a brother, Jack Hagin, grand children and great-grand children, and other loving family members. It was his wish that he be cremated and that there be no pomp and ceremony to his passing. His life served as his living obituary. He will be missed by those who knew and loved him.